My partner in crime, William Kendall, has also reviewed this film over at Speak of the Devil, so if you haven't already seen it, please do so. He reviews like a pro, while I call mine “popcorn reviews”—that is, your average audience review. Collin and I saw it on Friday afternoon--and as usual, a storm came through as we made our way home afterward. I'm really feeling jinxed! As if that weren’t bad enough, using a keyboard or tablet keypad is not easy when one hand is constantly reaching for the tissues. When is medical research going to find a cure for the not-so-common cold? I confess, I would much rather watch movies at home. 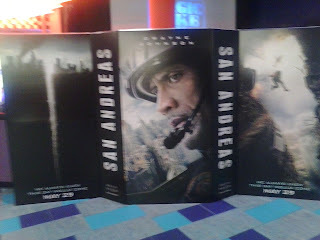 But San Andreas is one of those movies that should be seen for the first time on a big screen. The visuals are stunning--terrifying at times--and let's face it, Dwayne "The Rock" Johnson, in all his muscled glory, was made for the big screen. The story opens with rescue chopper pilot Ray Gaines (Johnson) and his team attempting a particularly difficult rescue. After a couple of way too close calls, Gaines takes a big risk to save a young woman. In some ways, this scene reminds me of the opening scene in the 1993 film Cliffhanger—but with a better outcome. Yep--this is the kind of white-knuckle movie I love. At Caltech, seismologist Dr. Lawrence Hayes (Paul Giamatti) and his colleague, Dr. Kim Park (Will Yun Lee) are working on a formula to predict earthquakes. They travel to Nevada to monitor small tremors detected at Hoover Dam--and end up caught in a major quake, where Park is killed. Meanwhile, back in LA, Ray prepares to take his daughter Blake (Alexandra Daddario) up to San Francisco, where she's attending college. That same day, he receives divorce papers from his estranged wife, Emma (Carla Gugino). Ray doesn't want the divorce, but a family tragedy has come between them and Emma sees no way back. She’s moved on—and moved in with new boyfriend Daniel Riddick (Ioan Gruffud), a wealthy developer who, it turns out, has a yellow streak down his back as wide as the—yes—San Andreas fault. 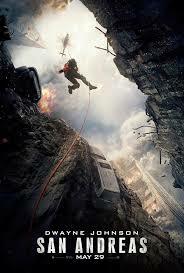 When Ray is called to assist rescue operations in the Nevada quake, he has to bail on Blake and their plans. Daniel immediately offers to take her, since he’s headed for San Francisco anyway. What better way to score points with Mom than to fly her daughter to school on his private plane? Returning to his lab at Caltech, Hayes makes a terrifying discovery: a major quake—major as in part of the state maybe dropping into the ocean—is about to hit the San Andreas fault with devastating consequences. The worst of it will destroy San Francisco. (We didn’t need a seismologist to see that coming, did we?) The first quake hits LA while he’s preparing for a TV interview, and the interviewer (Archie Panjabi) helps him get the word out to hopefully save as many people as possible. As soon as Ray hears the news of the LA quake, he abandons his mission (he probably would have been fired, had this movie had a Marvel-style post credits scene) and heads back to save Emma. Good thing he knows where she was having lunch with Daniel’s snotty sister (pop singer Kylie Minogue)—because he arrives as the building is collapsing. Together, they head for San Francisco to get their daughter. En route, their conversation reveals the details of what ended their marriage—the death of their other daughter, for which Ray blames himself. Does Daniel does get a smackdown from karma before Emma can make good on her promise? I loved the two British brothers, Ben and Ollie (Hugo Johnstone-Burt and Art Parkinson) who end up with Blake in San Francisco. Ollie as the kid brother is delightful, smarter than he should be and possessing the boldness of youth. Ben is shy with Blake at first, leaving it to Ollie to play matchmaker for them (sequel, anyone?). San Andreas will keep you on the edge of your seat. If you love disaster movies, this one’s a don’t miss! Terrific review! The movie was a blast... literally! Great review! Almost makes me want to brave the people/kids standing in line at the theater! Go to a matinee! We went before noon, so we got in for half price and it wasn't at all crowded--I didn't even have to wait to use the bathroom! It is that smile that lights up his eyes. He oozes good guy. I follow Tom and Lorenzo a fashion, tv, movie blog. and Dwane is shutting it down. showing in a week or so. Great popcorn movie review ! He loves his fans--and he's always had that charisma. A lot of people think wrestlers can't be good actors--but actually, they do take acting classes. His cousin, currently known in the ring as Roman Reigns, has been taking classes to improve his mic work. Granted, wrestling writers aren't very good, but it's still a good training ground for those who want to act. Their jobs depend upon it--if the writers can't come up with storylines for them, they get sidelined. Dave Bautista, who played Drax in Guardians of the Galaxy, also started out as a wrestler. When Collin and I first met him about ten years ago, he was very shy in person--but he's doing great work now. You and movie storms -- you should be the one predicting disasters! Mark, I AM a disaster! One of my editors used to refer to me as Hurricane Norma. Norma, will it raise my blood pressure? If it does maybe I should. Like your reviews just as much as Sir Wills. 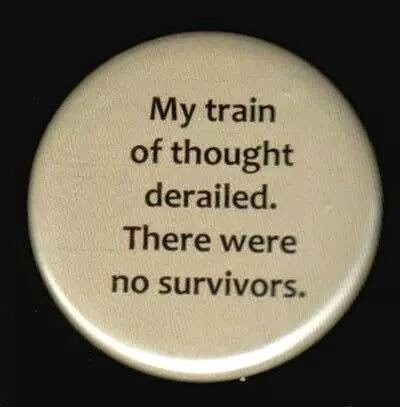 If it doesn't, better make sure you still have a pulse! I like Dwayne the Rock Johnson too and I think one of his family members is a chihuahua. Scary subject for all of us in California. He has so many family members in pro wrestling--his father and grandfather are in the Hall of Fame--they could actually start their own family organization. John wanted to go to the Age of Ultron this weekend. Too bad for him. Now we might have to go see San Andreas. I will blame it on you. That's going to be my next review, Grace!